Congratulations on your upcoming wedding! 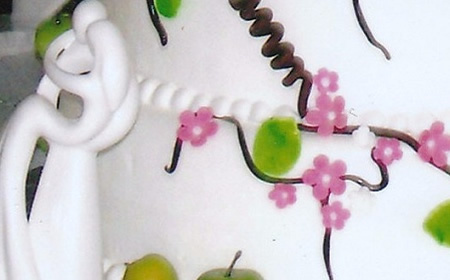 Thank you for considering Susie G’s Specialty Cakes to be a part of your special day. All of our cakes are baked fresh using the finest ingredients and they are beautifully decorated to be the centerpiece of your reception. 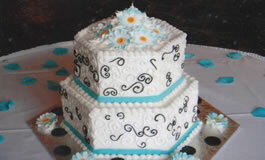 We hope that designing your wedding cake will be one of the most enjoyable parts of planning your wedding. What little girl these days doesn't love flip flops? 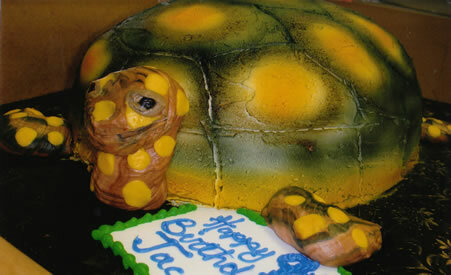 We can do children's cakes in a variety of shapes and sizes, colors and themes! Click the button below to see a small sample of cakes that we have made. We have many more pictures of cakes in our store. You may also bring in a napkin or picture that you would like us to use to make a custom hand drawing or to scan on the cake. We are PEANUT FREE! 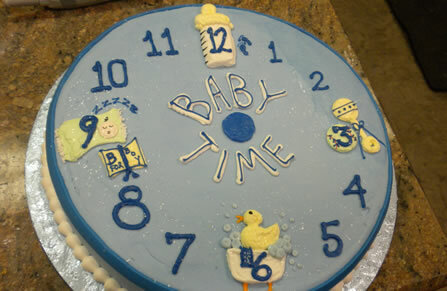 We offer a variety of baby themed cakes for the parents to be! 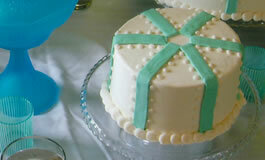 Click the tab below for a small sample of cakes that we have made. From duck, block and onsie shapes to more traditional basketweave cakes, celebrate the new arrival with a custom cake from Susie G's. 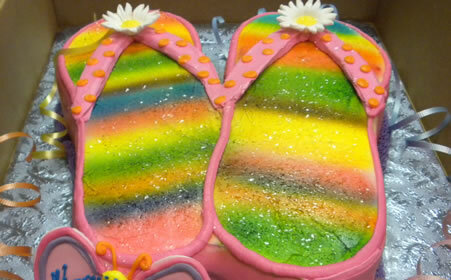 Here at Susie G’s, we take special pride in each and every cake that we do. 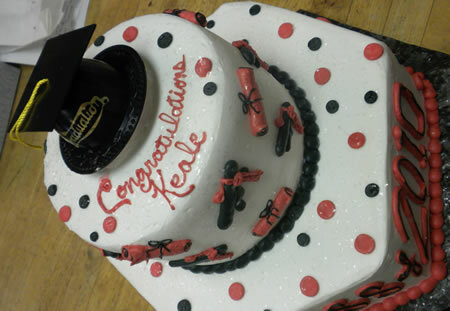 Not only do we want you to have a great looking cake, but we also want you to enjoy the taste of the cake as well. This is why we make our scrumptious butter cream icing from scratch using the finest ingredients. Click the tab below for a small sample of cakes that we have made. 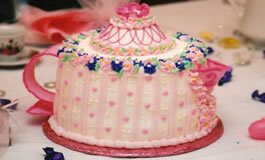 We have many more pictures of cakes in our store. Thank you for considering Susie G's to make your special occasion memorable. 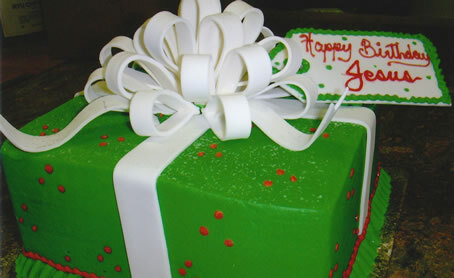 Our team of decorators put every effort to decorate every order with flair that you will find nowhere else. We consider each cake to be a work of art so no two cakes look exactly the same. Welcome to Susie G’s Specialty Cakes, a family owned bakery.